Generation High Output offers a number of flexible advertising options targeted towards readers in the automotive industry. What kind of products or services can I advertise? We require that your ad be related to automobiles in some way. We do not wish to run ads for soccer jerseys or cell phone ringtones or anything not related to cars. We also do not allow ads targeted at children or minors under age 17. What if I want to change my ad? We allow unlimited revisions to your ad for the duration of your campaign. Can you help me design an ad? Absolutely! We offer graphic design services for our ad packages. Please inquire for pricing. A link to your website with the anchor text of your choice. A link to your website with a short text description of your site. A static (non-animated) JPG image measuring 180×180 pixels. A simple ad on the mobile version of our site. Don’t see a package that fits your needs? 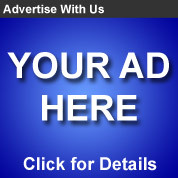 We can design a custom ad to suit your campaign. Please contact us for details.